Not only are you faced with emotional grief when you lose someone dear to you, you and your family are also surrounded by several (medical, funeral arrangements) bills. While a lost life cannot be brought back, the bills can be fixed with some assistance. 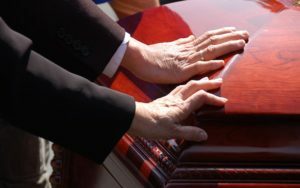 If the death was the fault of someone else, you may want to file a case for ‘wrongful death.’ If that is your resolution, you will need to get a top-rated attorney to help you. Do you live in Buena Park, CA? You can get a top-rated lawyer at Rawa Law Group. Rawa Law Group is a renowned law firm that has provided Buena Park claimants with years of stellar legal services especially for individuals and families going through tough times. We have some of the most experienced wrongful death attorneys in Buena Park, CA and a combined legal experience of more than 55 years. When you hire our services, we give you the needed personal one-on-one attention from a top-rated lawyer. Also, we keep you updated on your case from the start to finish and dole out ethical legal counsel at no hidden charges. We also ensure that your schedule is intact by offering flexible appointment hours. Clients are happy to take advantage of our free consultation. We understand the financial strain a lawsuit might have on you and thus we have zero upfront fees and only require payment after delivering positively on your case. If you need to hire a top-rated wrongful death attorney in Buena Park, CA today to maximize your settlement contact us at Rawa Law Group today for the best legal aid.